New England Patriots: Judge Berman Doesn’t Buy It | NFL News, as it happens, when it happens. Your one stop shop. Let me start by saying I was (gulp) wrong. Now if only NFL Commissioner Roger Goodell would just say the same thing and Tom Brady would apologize for not being “cooperative” we could all start talking about football instead of the legal garbage. Unfortunately, that’s too simplistic at this stage. In my recent article on “Deflategate”, published before Wednesday’s conference between Judge Richard Berman, the NFL legal team and Tom Brady’s attorneys I mistakenly said this isn’t about whether Brady knew about the deflation of the NFL’s balls. Yup, he went down that road despite everyone’s understanding that the legal issue was whether due process was given properly. And guess what the NFL Legal Team’s answer to just about every question was? You got it, the Collective Bargaining Agreement (CBA) signed off on by the players, including Mr. Brady, states the Commissioner can make the decision based upon his judgement…in other words the nah, nah, it doesn’t matter whether he is proven guilty or not defense. I acknowledge I may have (OK, did) made the NFL look guilty of any real conspiracy by highlighting the most explosive part of the hearings. Judge Berman did state he still hadn’t made any decision on the case, so not to read too much into the questions he asked…but c’mon. “I’m having trouble with that“ sure sounds like he isn’t buying into why this has arrived in his court. The judge questioned both sides and asked most of the questions fans, both pro and con Brady, have asked for going on seven months now. 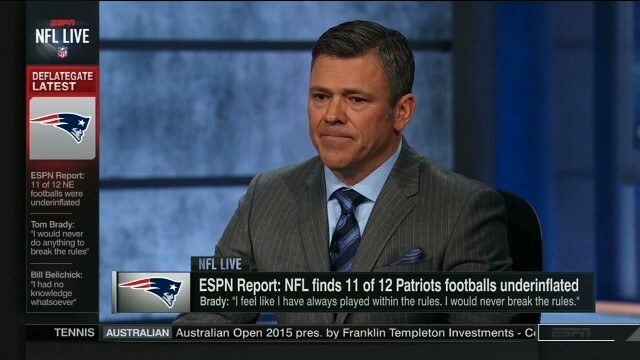 Is there a solid link between Brady and any “direct evidence” connecting Tom Brady to the balls being tampered with? Is there an e-mail tie between John Jastremski, the equipment assistant, and Jim McNally, the officials’ locker room attendant on that infamous day. Dash’s reply, “no,” but (to paraphrase the rest) there’s enough circumstantial evidence to link Brady. Also see the “So What” defense above. At the meeting Brady’s attorney, Jeffrey Kessler, acknowledged that the Patriots’ QB wasn’t completely innocent in the Deflategate fiasco by not fully cooperating with the investigation on the advice of his agent Don Yee. That seemed like a first step in the right direction. Now that we have the sensational headline out-of-the-way, the question becomes what went on behind closed doors? No matter what you see, hear or read…don’t believe it until a final agreement is reached or (oh no) it goes to court. Everyone (except me, of course) has highly informed secret sources who can’t be revealed because of privacy agreements (you know, freedom of the press) and “leaks” will occur…but until it comes from the horse’s mouth (sorry Judge Berman, didn’t mean to call you a horse) don’t buy into anything! The parties continued to meet in private until after 7PM Wednesday. That’s a long time to not do anything, provided nothing was accomplished. Now it’s my turn to speculate that, if the NFL insists on Brady accepting the accuracy of the Wells report (as rumored) this case has a long, long way to go. If however the NFL is willing to exclude that caveat there is some wiggle room. The problem remains that no matter how many people poke holes in the report the NFL adamantly refuses to budge. Why, oh why, would Tom Brady now say he’d accept the report and acknowledge he lied under oath and set himself up for even more ridicule? It’s not going to happen…in my humble opinion. Although both Brady and Goodell were present, they both let their legal counsel do all the talking after introducing themselves to the court. What happens next is up to the NFL (Goodell) and NFLPA (Brady) while Judge Berman awaits for the next get together, scheduled for August 19. He has flatly told them that they must have meaningful settlement discussions and wants them to make progress between now and that conference. Will that occur? Both sides will have to make some major concessions if a settlement is arrived at…and dammit, that’s highly unlikely. All the opinions in this article are mine and have been influenced by my skewed look at things through the eyes of a lifelong Patriot fan. I admit it, so please, hold back on the hate comments. I’m glad he was asking questions about the case, but I think it was just to remind the NFL that their position is weak. If the NFL loses, it won’t be because of a weakness with the Wells Report. Berman can’t rule on the merits–that part is over. Goodell has the right to make an absolutely horrible decision, as long as it’s in keeping with the CBA. But therein lies the problem. The league punished Brady under the “competitive integrity policy”, which is issued to teams, not players, and Brady never received a copy of it. No notice = no punishment. It’s in the CBA. That alone should be enough to get the whole thing thrown out. But there’s more. Goodell delegated his authority to Troy Vincent, which is also prohibited by the CBA, and when the NFLPA challenged him on that, he merely told them that they were wrong and that his conduct was lawful. Basically, he ruled on the CBA legality of his own conduct. No arbitrator can rule on his own conduct! This is prohibited by US labor law. Brady was also denied the opportunity to review certain evidence from the Wells investigation, because it involved “privileged” communication between Goodell and his “Independent” investigator, Ted Wells. So this neutral, unbiased lawyer just happened to be representing the league who ordered the investigation as a paid legal representative. No conflict of interest there! 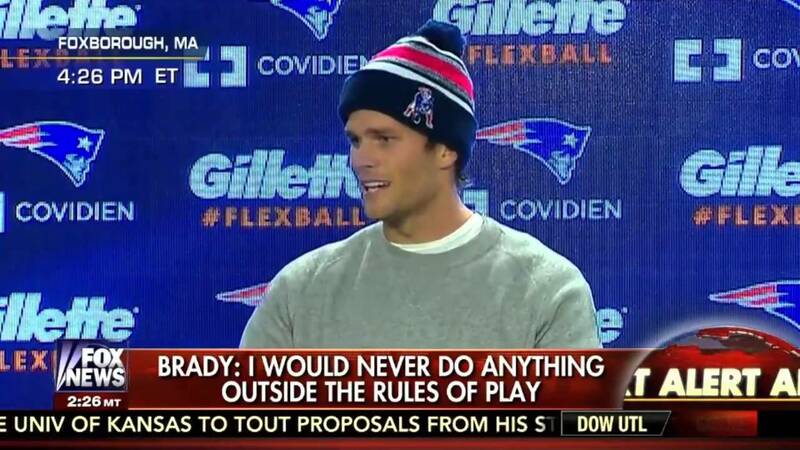 And Brady was unable to review, or challenge, the evidence against him because of it. So he can’t see the evidence? What is this, Saudi Arabia? It’s completely absurd. Brady was punished for, among other things, being “generally aware” of other people’s conduct. There is no penalty established in the CBA for “general awareness”, and if there was, the entire Saints defense would have been suspended for being “generally aware” of the bounty program, whether they participated or not. No one has ever been penalized for “general awareness”, even though many players have been generally aware of many infractions. Brady was also punished partly for non-cooperation, even though he was never warned that he was going to be punished if he did not turn over his phone records. Per the CBA, he must be warned before he’s punished for such things, and he was not. No one has ever been successfully suspended for non-cooperation. Some Saints players were, but those suspensions were overturned on appeal. Lastly, equipment violations are mentioned in the player handbook, and there is a schedule of fines for tampering with equipment, including footballs. A first offense calls for a fine of a little under $9,000 (and no suspension). Under the CBA, a punishment must be in keeping with prior similar punishments. No one has ever been suspended for an equipment violation. Goodell attempted to invoke the “Conduct Detrimental” rule to increase the penalty, but it would seem to me that if there is already a punishment prescribed for a specific offense, the conduct detrimental rule should not be available. I disagree with your premise. U.S. Code of law Title 9(Arbitration) chapter 1, section 10 clearly states that a judge may vacate a ruling based on, among other things, evident partiality or where the award was procured by corruption, fraud, or undue means. The Judges mandate means if he suspects wrongdoing by arbitration he can absolutely question, investigate and decide without the referencing the CBA at all. Disagree with premise but like post. Also, not being a lawyer, it’s likely I’ve made errors of reasoning and my legal opinion is moot. Well, he kind of can. If he thinks the ruling is so egregious as to represent misconduct on the part of the arbitrator, he can throw the entire ruling out. If Goodell has been “arbitrary” or “capricious” than the ruling cannot stand. If this NFL ruling isn’t “capricious” then I’m hard-pressed to think of what the word is supposed to mean. The answer is in between yours and Grund’s. The relevant language is the “evident partiality” or “corruption, fraud, etc.”, along with ignoring evidence and misbehavior. All of those procedural grounds are a basis for vacating an arbitration ruling. The link here is that if the facts are so obviously in the opposite direction of the arbitrator’s ruling that no reasonable person would have found the way the arbitrator did, that could be construed as evidence of the arbitrator’s partiality. I don’t have the time to find the citations (or to look up the Second Circuit on this), but that’s the general legal principle (which is also just common sense). I hate you for being so beautiful! I love the Pats and it’ll be fun when we can start focusing on football again. That being said, I think this case is riveting. I’ve learned a lot about civil and arbitration law following this case. And the more I learn the more I want Brady to take this thing as far as it can go. Supreme Court would be my dream. What is the legality of hiding evident partiality behind expected judicial deference? The CBA gives Goodell arbitration rights. It does not however give him the right to redefine arbitration. It also doesn’t give him the right to give himself powers outside of the CBA. The whole law of the shop argument is about contract interpretation. NFL is arguing that by delegating discipline to Goodell, the players basically conceded any minimum procedural requirements away. NFLPA’s argument is that the CBA is actually silent on what minimum procedures Goodell had to follow, but that these were evident from the previous decisions and arbitration rulings in the league’s history of interaction with the players. Classic gap filling argument. I think the NFL’s argument is bunk, because what they’re arguing is basically that the players agreed to an unconscionable term. I would have asked Goodell’s team: is it your position that Goodell could levy any fine he wanted against any player for any reason? Could he fine Drew Brees $100 million for being under 6′ tall? Because that’s what the NFL’s argument comes down to at the end of the day. Pingback: NFL-New England Patriots: Will Brady Retire Before Deflategate Is Resolved? | NFL News, as it happens, when it happens. Your one stop shop.